I’m a self-confessed highlighter addict, owning more radiance-boosting creams, lotions, powders, and balms than I’d care to admit to. But the problem with an addiction to makeup is that when you’ve purchased all the products worth purchasing, where do you turn? The answer? Body highlighters; a new breed of glow-getter designed to even skintone, protect skin, and above all brighten limbs for luminous, radiant skin that glows and glows. You can imagine my delight therefore when I came across Sculpt & Shine, a liquid illuminator for the body which (thanks to a virtuous ingredients lineup) is more skincare than makeup, so does good as well as looking good. This stuff is really quite special. 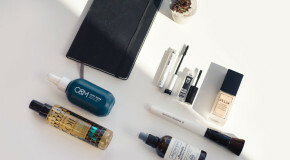 The brand is headed by an ex-Vogue beauty editor, which means that the collection is packed with products that are not only luxe and innovative, but that also work really really well. 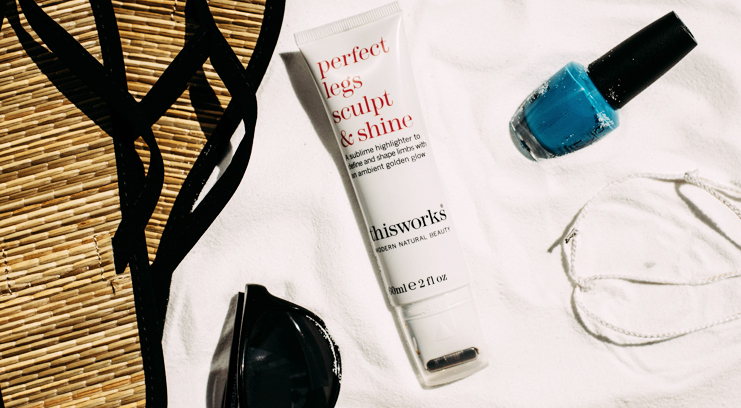 Sculpt & Shine is designed to add a subtle sheen and golden glow to legs (although I’ve also taken to applying it to my arms, where it works just as well), whilst infusing skin with hydrating, nourishing benefits. 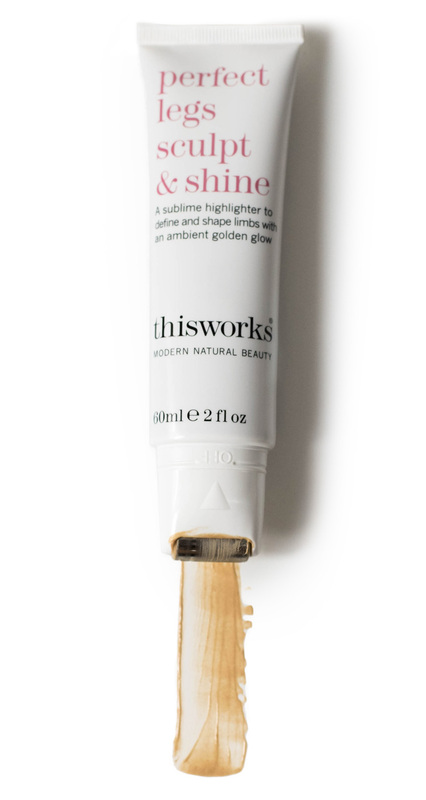 Packaged in a rather luxe roll-on, it feels similar to a thin, silky serum, and thanks to the cool metal applicator is instantly soothing and refreshing (always a bonus at this time of year). Pleasingly lightweight, it absorbs into my skin without being greasy or sticky; in fact, even after slathering the stuff on, my skin still feels like my skin. The only difference? My limbs are glowing with Twilight-vampire-esque levels of radiance. Think gleam and glimmer. The ingredients include coconut, argan oil and baobab oil. The smell makes me think of hot beach-bound mornings – sun, sand, fresh air, and lapping waves. Like paradise – it’s as if my skin has taken a trip to the Maldives; soft, supple, radiant, and lightly scented. Plus, at £28, it’s a lot cheaper than a direct flight to Hulhule Island.